Simons Group uses a mobile app to record the Don’t Walk Bys (DWB) on each project. As part of this initiative the Chairman offered a charitable donation of £1.00 per DWB. Each project are given the opportunity to choose a local charity. 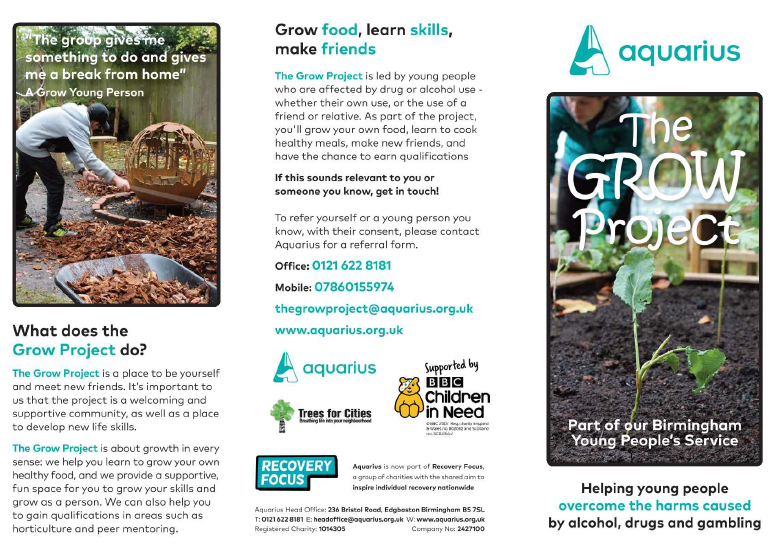 The Circle Health Birmingham project chose a local charity Aquarius – The Grow Project, which is situated next door to the site. To date, we have raised £1,500.00 through this safety initiative. At Aquarius, they strive to help people overcome the harms caused by alcohol, drugs and gambling. They work closely with individuals, families and friends to lessen the impact caused by the behaviour of a loved one. Overcoming an addiction can be a difficult process, but individuals can be sure that our staff will be dedicated to giving them and their families the attention and support that they need. They will be there to help with each step of the journey to recovery and to help others look forward to the future with the confidence that change is possible. The project has a further six months to complete so the donations will continue until the end.